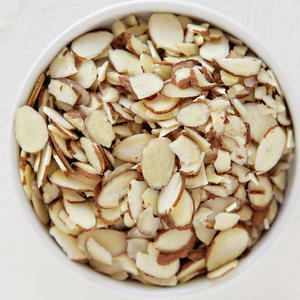 Almonds that have been thinly sliced; used for crunchy toppings for casseroles, salads, and much more. Almonds are a highly nutritious nut with a mild, sweet flavor. These almonds are sliced by hand.